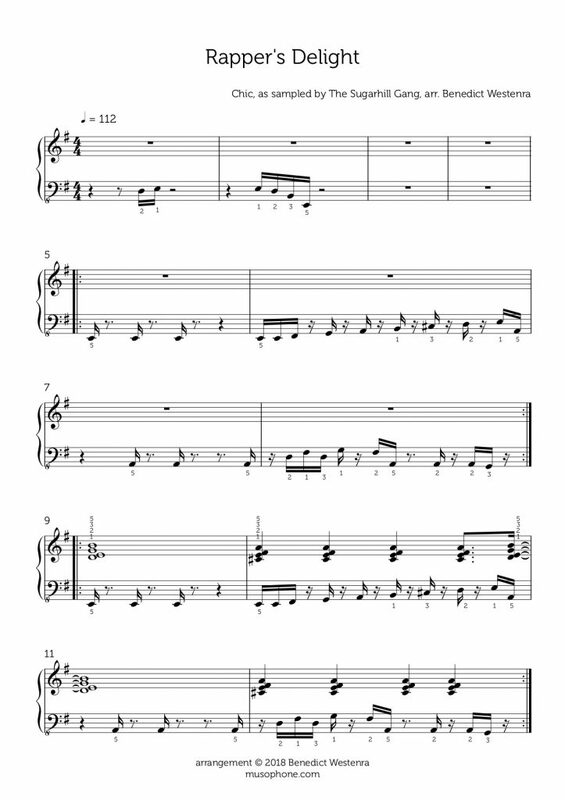 A transcription of the riff from the Sugarhill Gang’s “Rapper’s Delight”, which sample Chic’s “Good Times”. Click the image below to download the PDF. Note that the bass clef has an “8” next to it, which means you have to play the LH an octave lower than written. Be warned, it’s quite hard to play the bass line and the chords together and get the rhythm right!